Though native to South America, Bougainvillea spread as Europeans traded with or colonized different parts of the world. Colonists carried the plants to the Caribbean, Africa, India and southeast Asia, where they continue to be widely grown. The plant arrived in Hawaii in 1827. The United States and India eventually established bougainvillea societies for fanciers of the vine. Bougainvillea is so popular that many streets, buildings and institutions bear its name in parts of California, India, Australia and elsewhere. 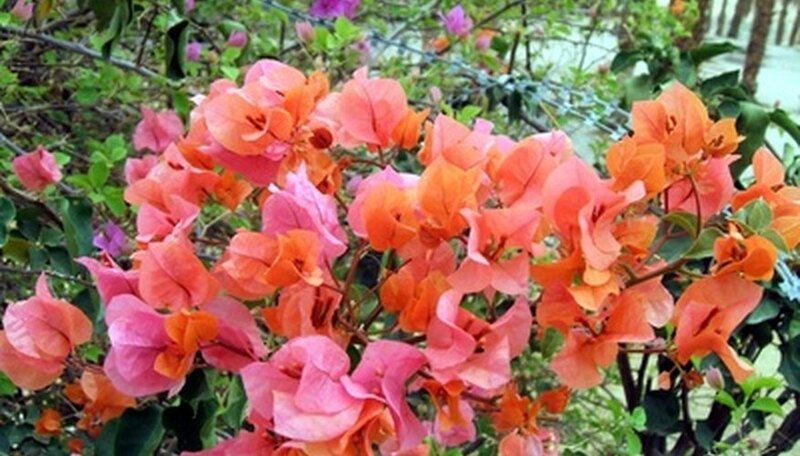 The Bougainvillea Society of India sponsors an annual festival, as does the island of Fiji. The city of Darwin in Australia held a bougainvillea festival for many years. It continues under the name, "Darwin Festival." "The Random House Book of Indoor and Greenhouse Plants"; Roger Phillips and Martyn Rix; 1997.